Whether or not to use herbicides is a matter of much contention both in home gardening and in commercial agriculture. In general, herbicides are effective ways to remove some or all plants from a particular area. Herbicides are quick and effective ways to stop and prevent plant growth. However, herbicides can sometimes build up in the soil and environment and may contaminate vegetables. Targeted herbicides can help to limit the growth of the types of weeds they target. Herbicides can either be chemically targeted to kill only certain types of weeds. This can help your lawn or other plants grow better through removing competition via killing certain weeds. However, targeted herbicides can sometimes have unintended side effects, such as killing plants that are similar to, but not identical to, the targeted plants. In addition, University of Wisconsin research has shown a link between some common herbicides and reproductive problems in mammals. General broad spectrum herbicides are designed to kill all plants they contact. General herbicides might be used in areas where plant growth might damage or harm other features, such as patios, decks, or concrete slabs. However, herbicides can sometimes drift outside of the intended area and damage nearby plants. In some cases, plants can be genetically engineered to tolerate general spectrum herbicides. The problem with general herbicides is that they kill all plant life. 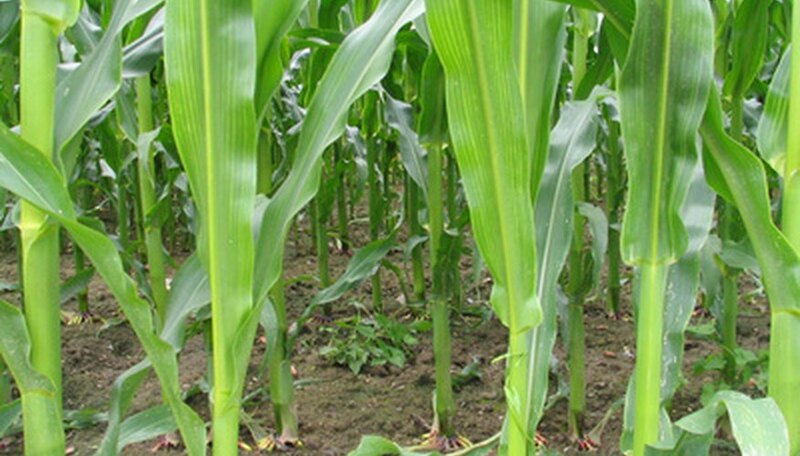 A number of crops, including corn, soy, and several other crops, have been genetically modified to survive application of broad spectrum general herbicides. When these engineered crops are sprayed with a specific, patented herbicide, they survive, while all competing plants die. These genetically modified, or GMO, crops are said to increase productivity in commercial agriculture. However, because these crops are patented, it is illegal to save seeds for re-planting or to grow these crops without licenses and authorization from the manufacturers. Because these crops are pollinated through natural means, meaning that wind and insects carry pollen from GMO crops to non-GMO fields. When pollinated, the plants growing in adjacent fields become patented property of the company holding the patent on the original GMO crop. What Are the Herbicides for Wild Onions?